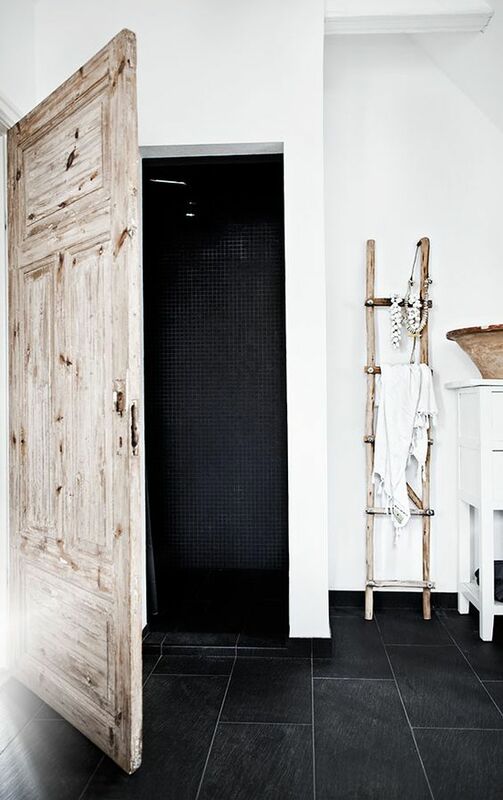 More and more of us are waking up to the advantages of using natural materials in our home design. They’re durable, environmentally friendly, and an ideal way to create a calming, more peaceful space. From bamboo flooring, to burlap curtains, to reclaimed wood furniture, natural materials can look great in any part of the home, and will certainly prove your green credentials! This space is decorated from top to toe with natural materials, filling it with neutral tones and a variety of textures. 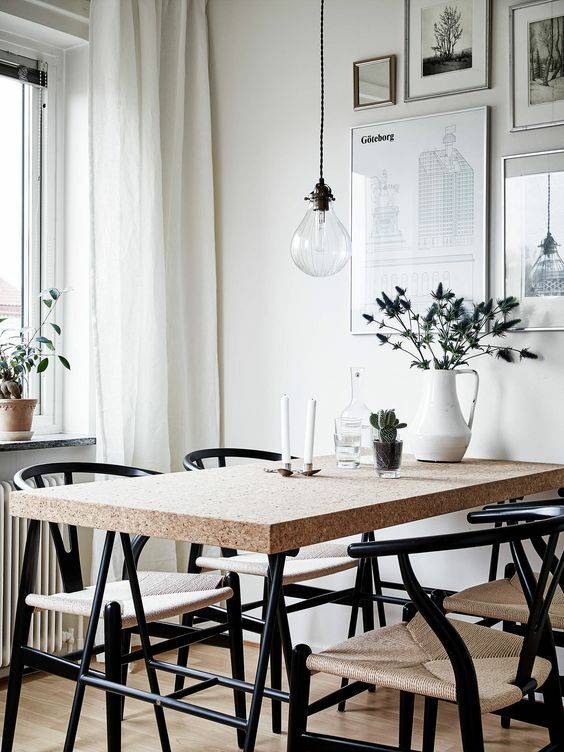 Cork is an underused and underappreciated natural material, which is a shame because it can be used in a number of ways in the home, from floors and walls to furniture and accessories. Because natural materials usually have a neutral colour palette, they’re ideal for any space where neutral decor is the focus. 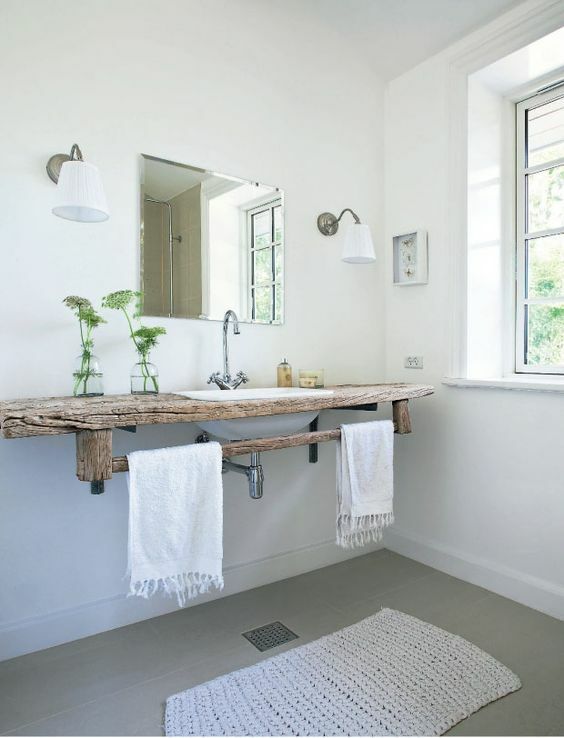 Bathrooms often have a neutral colour scheme, and so are the perfect place to use natural materials. 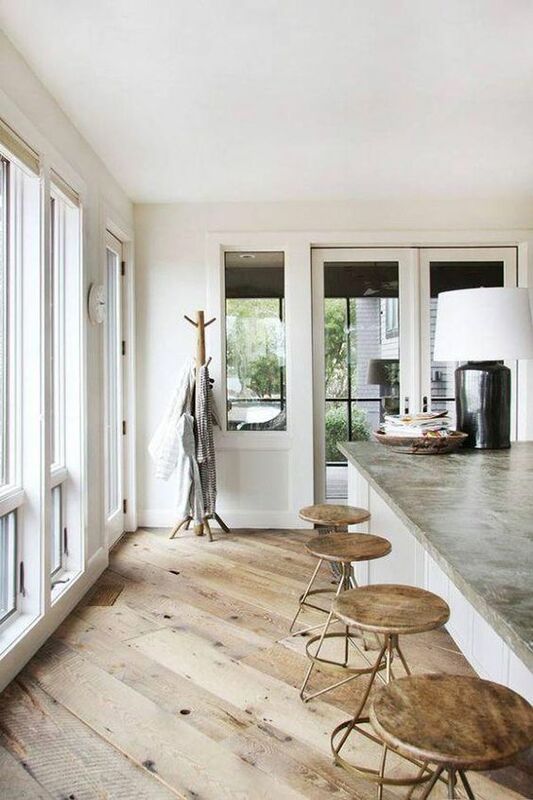 With its rustic wood floor and wood stools, this kitchen is a dream come true for lovers of all things natural. Bringing natural materials into a space can be as easy as adding a rug made from a natural fibre such as jute or sisal. 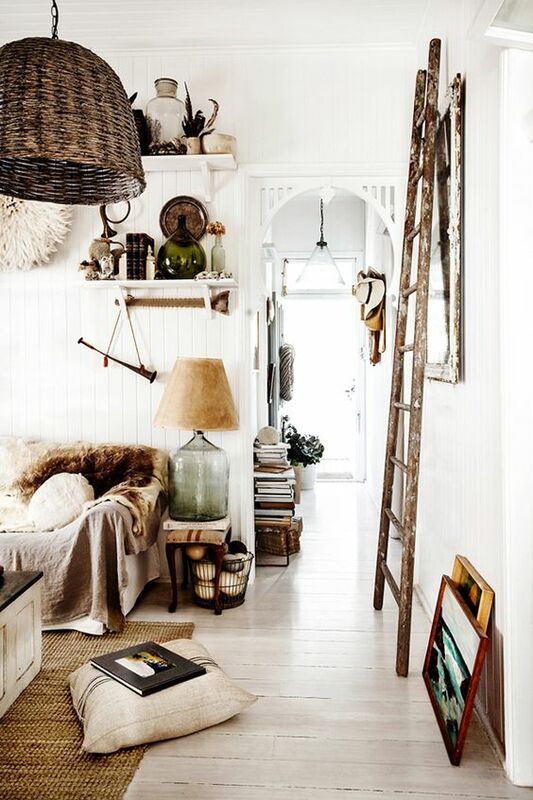 Other accessories made from natural materials, such as lightshades or baskets, are also great for giving your home some au naturel style. 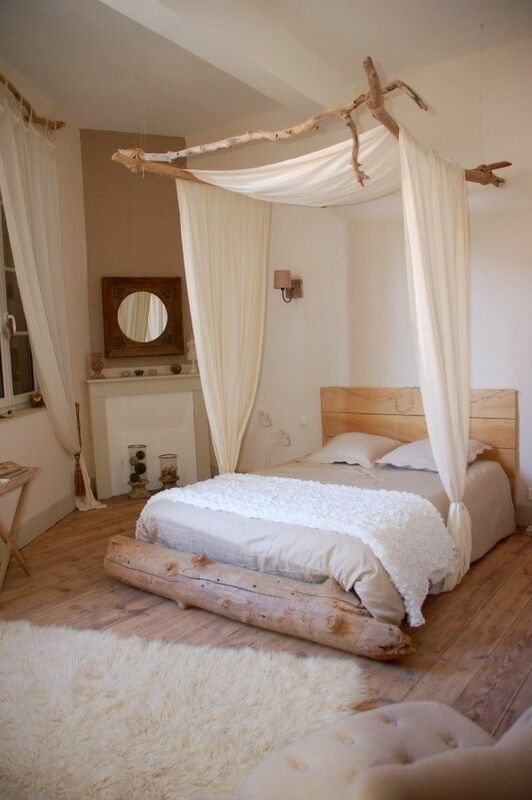 This beautiful Italian farmhouse is filled with natural features, giving it exactly the rustic charm you would expect. The framed burlap shutters, the wicker lightshade, the woven rug, and the rope-wrapped bench make this space all about natural style living. By installing a natural and untreated wood door you can dramatically alter the feel of a space, instantly giving it that au naturel look. From the bed frame to the curtain rail, this bedroom really is making the most of raw natural materials. 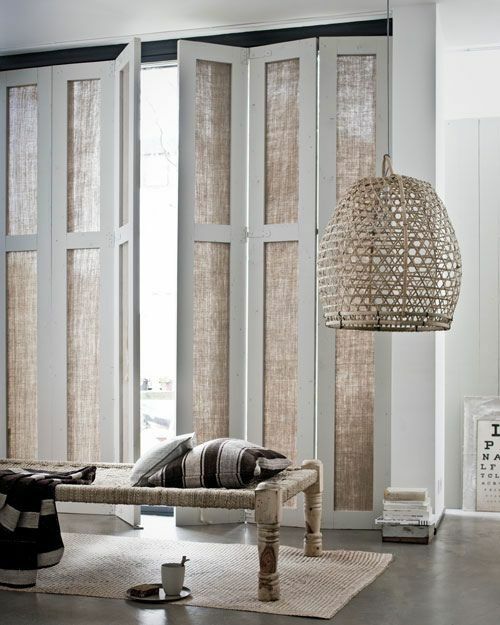 To finish off your au naturel design style, add some bamboo blinds. They’re easy to hang and will help inject a muted tone into a room. 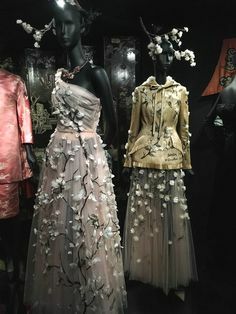 This entry was posted in Inspiration and tagged design ideas, home decor, natural design ideas. Bookmark the permalink.